I am writing this in a state of distress, because the dog I was looking after has just died. She was very old, and seemed to have died in her sleep. It’s a real reminder of how fleeting life can be, and this was the most alive, sweet dog you could ever imagine. As a tribute to Weasy, and as sort of a healing for myself, I am doing a post on dogs in the movies. Asta was the dog in the Thin Man movies, who also had a good career in films like The Women, Bringing Up Baby, and The Awful Truth. Originally named Skippy, his was a very comedic dog, whose name was changed to Asta after his popularity in the Thin Man movies. His trainers were Henry East and Frank Weatherwax. 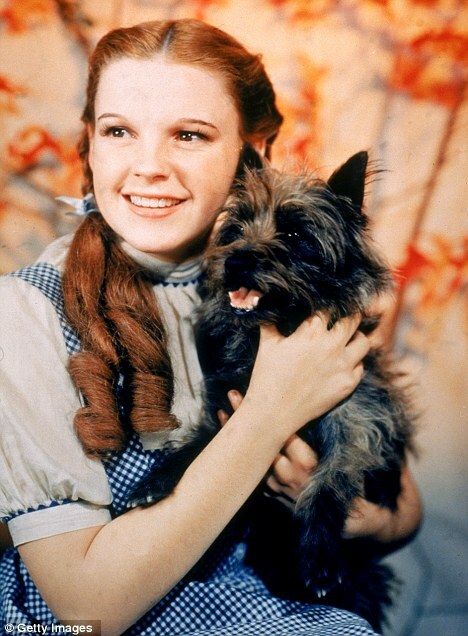 Terry, a female Cairn Terrier, was cast to play Toto in The Wizard of Oz in 1938. She was paid $125 per week, which was more than the Munchkins were paid. Because of the popularity of the role, and because this was the role she was most known for, Terry’s trainer Carl Spitz officially changed her name to Toto. She died in 1945, after a career that spanned 13 films. Lassie was actually played by a number of dogs, all male. The first of these was Pal, who appeared in seven films at MGM between 1943 and 1951, and the future Lassies, in film and on television, were all descendants of his–Lassie Junior, Spook, Baby, Mire, Hey Hey, Boy, The Old Man, and Howard played the dog until the late 1990’s. In 1997 the company producing the Lassie series got a new, non-Pal descended dog, but due to fan outrage, Hey Hey II was employed instead. Lassie has continued to be a fan favorite, ever since the first Lassie movies in the early 1940’s. Most of the Lassies were trained by Frank Weatherwax. Old Yeller, whose real name was Spike, was a dog who was found at the Van Nuys animal shelter, and whom Frank Weatherwax rescued for $3 as his personal dog. When he learned that Disney was casting Old Yeller, he urged Disney to accept him for the role of the titular dog, and he was accepted. Spike has the distinction of being a dog in one of what is called the most tearful scenes in movie history. 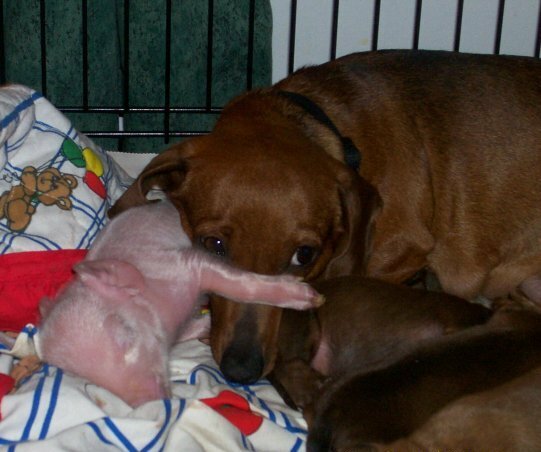 I myself can never watch Old Yeller because of what happens to him at the end. This post is a tribute to Weasy, the best dachshund I have ever met. RIP Weasy, you are missed. I saw “Old Yeller” as a child and, as a result, now avoid it like the plague. I think my entire generation was traumatized by the end. I still love Tommy Kirk but have to wonder what Walt Disney was thinking. What a sweet picture of Weasy. It breaks your heart into a million pieces when a beloved pet dies. A lovely tribute for a sweet little pooch.